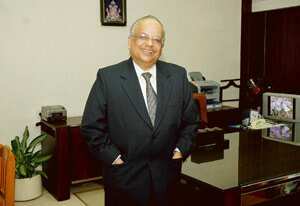 Mumbai: After a four-year stint as a deputy governor of the Reserve Bank of India (RBI), V. Leeladhar, 62, steps down on Monday. A proponent of consolidation in the industry, Leeladhar, head of banking operations and supervision, has forced the merger of quite a few banks in the past few years. He was also instrumental in clamping down on Sahara India Financial Corp. Ltd, the country’s largest residuary non-bank finance company (RNBC). If you compare with developed countries, our situation is much better. Our banks are financially sound — by any parameter—and most of them have far more capital than what the prudential norms stipulate. There is, however, a need for improving our risk management system and liquidity management. Is there any concern about the health of private banks? Five years ago, there were so many weak banks with very small capital base. Through a series of mergers and amalgamations, we have been able to reach a stage where we don’t have a single bank with less than 8% capital adequacy. And, we have only two banks with less than Rs300 crore net worth — Catholic Syrian Bank and Nainital Bank. Bank of Baroda holds 98% stake in Nainital Bank and it wants to become a regional rural bank. In that case, we will not insist on a higher net worth. Catholic Syrian Bank has not been able to hit the market and raise capital because of some litigations but it has more than 9% capital adequacy. What about ICICI Bank Ltd? That is one bank on which we have issued statements saying they are well capitalized and there is no problem. It has also understood the difficulty of keeping aggressive growth targets. I am sure it has taken steps which will further strengthen its balance sheet. Are the RBI measures yielding results? We have taken steps and they have created the right atmosphere. It’s not necessary that every instrument we create or every relaxation we give should be fully utilized by banks. Certain relaxations have been given to boost confidence. To give an example, the foreign branches of Indian banks have been asking for a backstop facility to take care of any future need in terms of liquidity. We offered them a swap arrangement where they can swap their rupee with dollars but they could avail of the swap arrangement only if they had rupee liquidity. So, we have agreed to give them rupee liquidity for this purpose. That facility has not been used but this has given confidence to the system. They are signals to create confidence. Can you rule out a collapse of any bank in India? As far as their exposure to developed countries are concerned, our banks do not have any direct exposure to subprime loans. Even indirect exposures are very small compared with the capital of many of these banks. I don’t foresee any difficulty on that front. Lehman Brothers Holdings Inc failed in mid-September. We were very prompt in taking action, leading to settlement of all liabilities of all Indian banks. In fact, Lehman issued one cheque to clear all its liabilities to Indian banks within 24 hours of an RBI meeting with the institution. What about the retail loan bubble? We were a little worried on what’s happening in the real estate sector and retail loans, particularly personal loans and credit-card receivables. There was a feeling that the base of credit-card receivables was very small and we need not worry, but even though the base was small, if the growth is exponential, in a very short time it can create problems. We raised risk weights to slow the growth. We have now come to a situation where prices have started going down. We felt that the time has come where bankers will be more cautious when they give loans in these segments. So, these measures have been reversed as contra-cyclical measures. They are not liberalization of norms. Won’t they have any negative effect? This has been done with a lot of well-reasoned ideas. It’s not point-blank relaxations of the norms stipulated earlier. How worried are you about the quality of Indian banks’ assets? As things stand, there is no cause for concern. Banks are cautious and they are scrutinizing all loan proposals thoroughly. Over a period of time, the appraisal standard has also improved. Corporations are not getting money as other sources have dried up. To what extent can the Indian financial system carry the burden of their demand for money? We are looking into the substitution process that has taken place. I have a feeling that the extent of credit growth of Indian banks is on the higher side and they should be careful of this.. I am not very sure what is the issue – the availability of funds or the cost of funds. Firms may not be getting funds at the rate at which they expect to get …But that’s a different question. Money is indeed available, but at a cost. They used to get cheap money and the situation has changed now, but that should not make us believe that credit is not available. So, higher rate is a reality? Yes, compared with what it was in past few years. When will it come down? With inflation coming down, interest rate should also come down. Who is deciding on rates? RBI or the finance ministry? In difficult days there should be close coordination between the central bank and all public policy makers. Discussions will happen but ultimately the final decision taking authority should be the Reserve Bank, the monetary authority. How bad is the state of affairs for NBFCs? Our main focus has been on deposit-taking firms as we want to protect interest of depositors. Unlike bank deposits, the NBFC deposits do not have any insurance cover. Today, the number of deposit-taking companies is less than 300 and the total deposits are about Rs2,600 crore and every day we get applications from firms, seeking our nod to becoming non-deposit taking NBFCs. We have introduced capital adequacy and concentration ratios for 186 NBFCs with more than Rs100 crore worth of asset base. We also put a ceiling on the amount of bank finance that can flow into the NBFC sector. Besides, we also introduced disclosure norms and have asked them to report to us every month on the source and deployment of funds. How many of them are in trouble? Some of them have taken huge exposure to sectors such as real estate, beyond what a prudent financial intermediary should do. They have put a lot of money in capital markets too. We need to regulate these companies closely. About a dozen of them? May be less than 10. A few of them will die? It will depend on the state of affairs in the real estate market. We will have to wait and see how things unfold in the real estate sector. Why did you take on Sahara India Financial? Our stance is the RNBC business is not an appropriate model. We could not stipulate any leverage ratio for RNBCs as there were some court cases involved. So, even with a small capital such companies can take a lot of public deposits. We stipulated that 100% of such deposits are invested in instruments such as government bonds, triple-A rated corporate bonds, bank deposits and so on. One company, the Kolkata-based Peerless General Finance and Investment Co. Ltd, cooperated with us in terms of investments and constitution of the board. We also gave them a plan to get out of public deposits over a period of four years. Can Sahara become a bank? They have to stop taking public deposits by 2011. Is the time ripe to follow a hands-off policy in terms of branch licensing and ATMs? Banking Regulation Act stipulates that banks can open a branch only with a licence from RBI. As long as that clause is there, banks will not be able to open any branch without RBI’s permission. We are asking banks to submit an annual plan on opening branches. After the plan is submitted, we meet the CEO of the concerned banks and give our nod in seven days. The general tendency is to open more branches in metros which are already saturated with branches. We have been able to ensure that new branches are opened in unbanked areas. If we give them freedom, it may not happen. ATMs are now cash dispensers but there will be a stage where ATMs will do a lot of other businesses. Banks will require our nod for ATMs but we do not insist on the locations of ATMs. Will RBI open doors to foreign banks in 2009? I have a very strong view on the subject. We are already liberal as far as the foreign banks are concerned. They mostly operate from metros and not in semi-urban and rural India. Secondly, we have also been liberal in granting branch licences to them. Though under the World Trade Organisation norms, we need to give licence to 12 new foreign bank branches every year, we have been offering many more. Our aim has been to bring in as many new banks to India as possible instead of extending the branch network of the banks that are already present (here). This policy has paid off. We need to see whether the time is appropriate to open up the entire banking system, in the light of what has been happening in developed countries. You don’t want to open up for US banks because US Fed has not allowed Indian banks bigger presence there. Right? We are liberal whereever there is reciprocity. Indian banks have got only one branch licence in US in past five years but we are giving new branch licences to US banks. We have been liberal. If the US reciprocates, it will be wonderful.